YoP: Week of November the 9th – yay, two done! I am so happy! I have actually finished some stuff! This cowl for my mom is a second attempt to make her a cowl. The first one wasn’t too comfy, so I ripped it, and made this one – I had to buy more yarn, and now have 2 skeins left. She loves it, and so do I. It looks clean and classy, and is super easy, too – just a stripe of stockinette stitch curling naturally sewn in a circle. 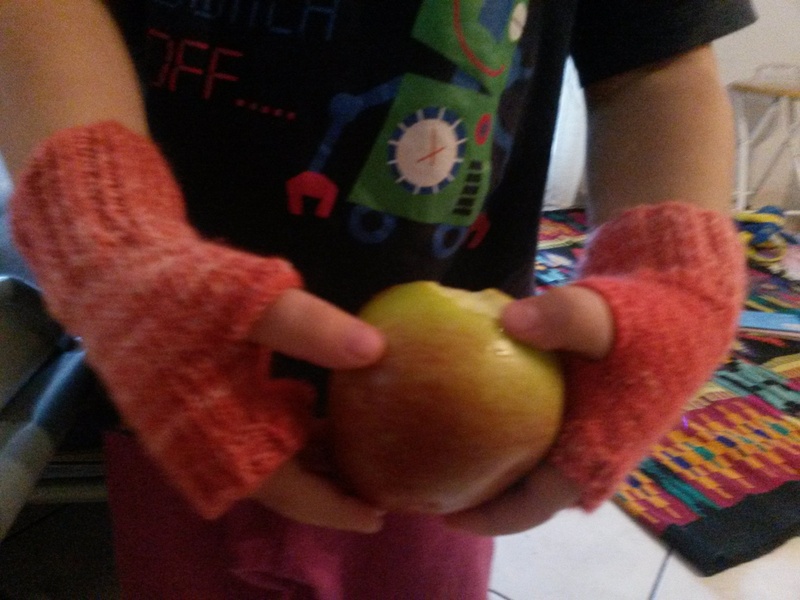 I have also used my home-dyed yarn to make my girl a pair of fingerless mitts. 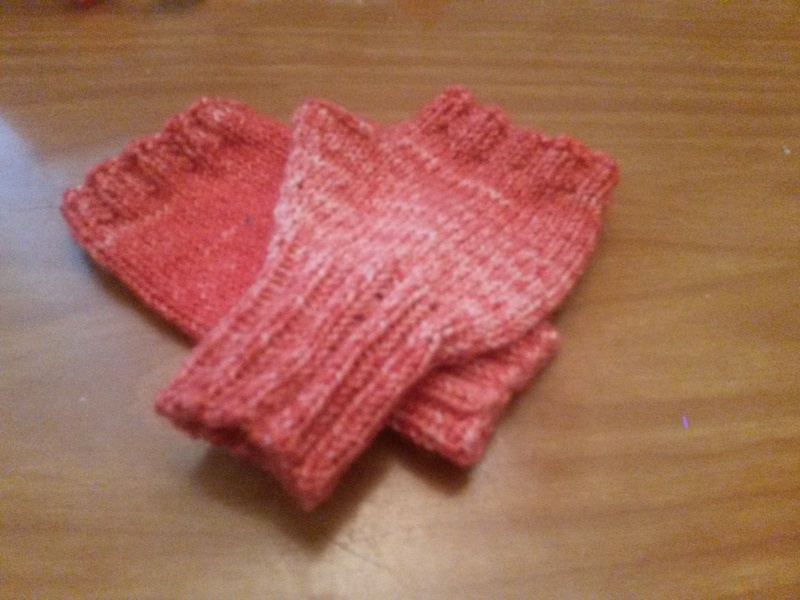 I haven’t used any patter for these either – again plain stockinette. Here’s an update on my list for this year. 3. I promised my man a hat and a scarf for the winter. 8. A top for me…. 9. Very not sure, but may be this afghan for a friend who loves social games. Separator image Posted in My kniting & crochet and tagged with cowl, fingerless mitts, knitting, stockinette stitch, YOP. YOP Week of October the 19th – Red Dress, Part 6. YOP: Week of the 23rd of October – one FO and Red Dress Part 7. 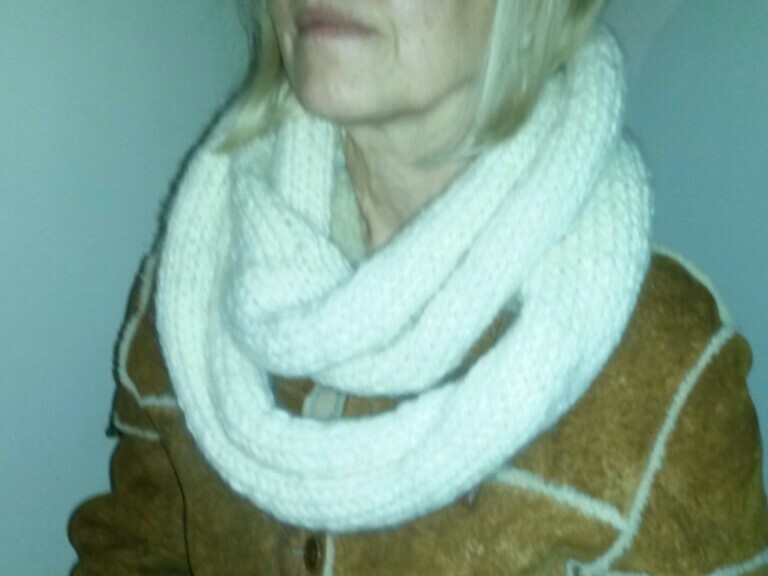 Oh those mitts are cute…glad you were able to make a new cowl for your mom…. I totally agree – lacy cowls go with warmer weather and stockinette / garter with colder in my mind too. That is a gorgeous cowl and I love the little mittens for your daughter, they are just so precious. The cowl is beautiful and of course, will go with everything! You are so talented; dyeing your own yarn and then making things without a pattern? I have trouble even with a pattern! LOL! The mitts are darling and the afghan I faved as it looks like a great way to use up yarn scraps and could possibly be a rug? How’s that red crocheted medallion dress coming along? I will never forget that as it is beautiful! Have a great week! Hi Sandra, just found your comment in spam! Thank you for your kind words! I have to admit that I have problems with quite few patterns, so I make up my own stuff, but usually it’s very basic – stockinette stitch and easy construction. If you haven’t seen my recent post yet, you can take a look at the dress – I’ve made some progress )). 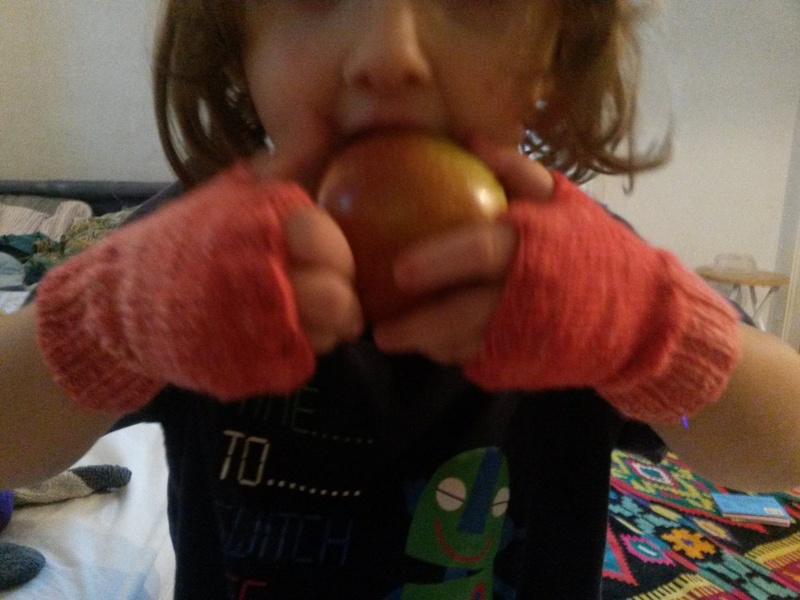 The mitts are great and so glad you were able to please your self and your mom with the cowl. Your list looks so nice and there are lots of things on there that are very interesting to me. Will wait and see when they are finished. The cowl looks great, what a beautiful and wearable project! Congratulations you have been nominated for the Liebster Award on my blog. Hi and thank you! But I have already been nominated and did my post this summer.